Can anyone point me to the scripts to setup block for live ? Also some info on what the script actually does ,how it works ? Also there used to be a link to another app which you could buy that gave you lots of functionality for block for live ? I think the app your talking about is Monomodular? 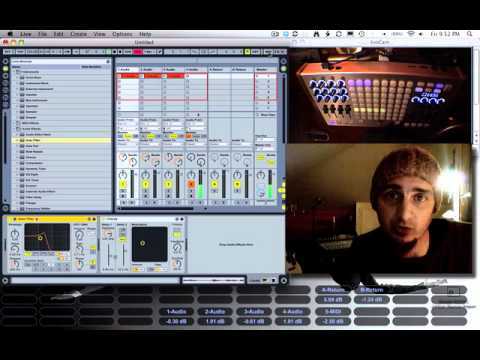 Are you using the latest version of Live 9? where is there an explanation of the functionality of the script, ?I can see some obvious things by playing with the controller . I found some stuff about mono but its pretty vauge I may try and install it if I can work out what to install from the wiki. If you'd previously downloaded the mod repo, please delete that version and redownload it, as I had to make a slight change to the BlockMod script to get it working again. I've just checked it against version 9.2 of Live and it appears to be working, although some things probably don't "work as advertised". Let me know if you find any major problems and I'll have a look....this is an older script and is in great need of updating, but I can't say when I'll get to it (it's a big job), but I do intend to eventually. If you find any deal-breakers, let me know and I'll give it priority.